You have earned 5 Reward Point(s) for completing 25 CME credits this year. Congratulations! You have just reached Level 3 in the Renewal Rewards Program. Congratulations! You've reached the maximum number of Rewards points. You will now be logged out to complete this change. Our records indicate that your Membership has expired. Renew now to access your content. To access and print your CME/CE transcript. Click here. 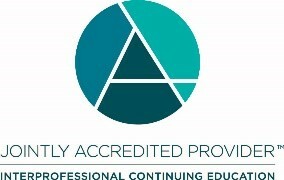 In support of improving patient care, Audio Digest Foundation is jointly accredited by the Accreditation Council for Continuing Medical Education (ACCME), the Accreditation Council for Pharmacy Education (ACPE), and the American Nurses Credentialing Center (ANCC), to provide continuing education for the healthcare team. Audio Digest lecture-activities are individually designated for CME/CE/MOC credit; refer to individual program materials for specifics on credit designation. The Enduring Material activity, AudioDigest Family Medicine Volume 67, has been reviewed and is acceptable for credit by the American Academy of Family Physicians. Term of approval begins 01/01/2019. Term of approval is for one year from this date. Physicians should claim only the credit commensurate with the extent of their participation in the activity. The Enduring Material activity, AudioDigest Family Medicine Volume 66, has been reviewed and is acceptable for credit by the American Academy of Family Physicians. Term of approval begins 01/01/2018. Term of approval is for one year from this date. Physicians should claim only the credit commensurate with the extent of their participation in the activity. Refer to each individual issue within AudioDigest Family Medicine Volumes 67 and 66 (and/or check the AAFP website) for information on approval status and the specific number of Prescribed credits for which each lecture has been approved. Credit may be claimed for one year from the date of each issue. AAFP members may claim Elective Credit for AudioDigest Family Medicine Volume 66 (specifically, issues with publication dates that are older than 1 year), Volume 65 (all issues), and Volume 64 (only issues with publication dates that are less than 3 years old). The Enduring Material activity, AudioDigest Emergency Medicine Volume 36, has been reviewed and is acceptable for credit by the American Academy of Family Physicians. Term of approval begins 01/01/2019. Term of approval is for one year from this date. Physicians should claim only the credit commensurate with the extent of their participation in the activity. The Enduring Material activity, AudioDigest Emergency Medicine Volume 35, has been reviewed and is acceptable for credit by the American Academy of Family Physicians. Term of approval begins 01/01/2018. Term of approval is for one year from this date. Physicians should claim only the credit commensurate with the extent of their participation in the activity. Refer to each individual issue within AudioDigest Emergency Medicine Volumes 36 and 35 (and/or check the AAFP website) for information on approval status and the specific number of Prescribed credits for which each lecture has been approved. Credit may be claimed for one year form the date of each issue. AAFP members may claim Elective Credit for AudioDigest Emergency Medicine Volume 35 (specifically, issues with publication dates that are older than 1 year), Volume 34 (all issues), and Volume 33 (only issues with publication dates that are less than 3 years old). Audio Digest Emergency Medicine is approved by the American College of Emergency Physicians (ACEP) for up to 48 ACEP Category I credits. Each issue is approved for 3 years from the publication date. Members of the College of Family Physicians of Canada (CFPC) are permitted to claim Mainpro+ Self-Learning Certified credits (up to 50 credits per cycle) for successful completion of activities designated for AMA PRA Category 1 Credit™. This applies to all AudioDigest CME/CE activities. CFPC members are able to receive Mainpro+ Self-Learning Certified credits for all AudioDigest Family Medicine and Emergency Medicine activities that provide AAFP Prescribed credit. This is due to a reciprocal agreement between CFPC and AAFP. AudioDigest EM and FM activities are eligible for AAFP Prescribed credit for up to 1 year from the publication date. All AudioDigest lecture-activities are eligible for Mainpro+ Non-certified credits. Mainpro+ participants may also earn additional certified credits by completing a Linking Learning exercise. For members of the Royal College of Physicians and Surgeons of Canada (RCPSC), the time spent on an AudioDigest program may be included within MOC Section 2: Self-Learning as a Scanning activity (podcasts, audiotapes, videotapes). Eligible ACCEL programs and lectures, beginning with Volume 48, Issue 11 (pub date: Nov 2016), are designated for both CME credit and ABIM MOC points. Participant completion data for eligible ACCEL activities will be reported to the ABIM (via PARS) within 60 days of participation. However, Audio Digest is unable to report MOC points earned without having the physician's accurate ABIM ID and DOB (mm/dd) on file. Contact customer service for more information. Note: ABIM does not accept MOC points after March 31 for the year prior. Eligible AudioDigest Anesthesiology activities that comply with the American Board of Anesthesiology® (ABA) MOCA® and MOCA 2.0® requirements for Part 2: Lifelong Learning and Self-Assessment (LLS) are registered by Audio Digest through the ACCME’s Program and Activity Reporting System (PARS). Participant completion data (for physicians who have provided Audio Digest with their ABA ID) will be reported to the ABA (via PARS) in a timely manner (within 60 days of participation. Note: MOC points earned in a given year must be received by the ABA by March 31 of the following year for credit to count (eg, all MOC points earned in 2019 must be submitted to ABA no later than March 31, 2020). AudioDigest Emergency Medicine CME activities with accompanying tests can be used for ABEM MOC self-assessment credit. Relevant AudioDigest Gastroenterology CME activities with accompanying tests can be used for ABCRS MOC Part 2 Self-Assessment. AudioDigest Gastroenterology CME activities may be used for ABCRS MOC Part 2 S-A credit only if that content is relevant to the practice of colon and rectal surgery. Relevant AudioDigest General Surgery CME activities with accompanying tests can be used for ABS and/or ABCRS MOC Part 2 Self-Assessment credit. AudioDigest General Surgery CME activities may be used for ABS MOC Part 2 S-A credit only if that content is relevant to the practice of general surgery. For ABCRS MOC Part 2 S-A credit, content must be relevant to the practice of colon and rectal surgery. Eligible AudioDigest Internal Medicine programs and lectures, beginning with Volume 63, Issue 37 (pub date: Oct 7, 2016), are designated for both CME credit and ABIM MOC points. Participant completion data for eligible Internal Medicine activities will be reported to the ABIM (via PARS) within 60 days of participation. However, Audio Digest is unable to report MOC points earned without having the physician’s accurate ABIM ID and DOB (mm/dd) on file. Contact customer service for more information. Note: ABIM does not accept MOC points after March 31 for the year prior. CONTINUUM Audio provides Self-Assessment CME credit when used as follows: When at least 8.0 CME credits have been earned and at least 25 posttest questions answered, those 8.0 CME credits count as Self-Assessment CME. Thereafter, all other credits earned continuously count as Self-Assessment CME. Audio Digest will report earned Self-Assessment credit on your behalf directly to the American Board of Psychiatry and Neurology (ABPN). CONTINUUM Audio was co-developed by the American Academy of Neurology and Audio Digest and was planned to achieve scientific integrity, objectivity and balance. This activity is an Accredited Self-Assessment Program (Section 3) as defined by the Maintenance of Certification Program of the Royal College of Physicians and Surgeons of Canada, and approved by the University of Calgary Office of Continuing Medical Education and Professional Development. Canadian participants should claim credit separately for each interview. They may claim the hours listed on the credit certificate for each interview studied (credits are automatically calculated). See post-test instructions for further details. Note: Only CONTINUUM Audio courses published after May 31, 2018 are designated as Self-Assessment. Doctors of Osteopathy (DOs) may claim credit for Audio Digest enduring materials for AOA Category 2-B. This AOA category permits DOs to claim CME credit for enduring materials that are designated for AMA PRA Category 1 Credit™ or for AAFP CME credit. Each DO should check with the AOA for the actual number of credits allowed. The American Academy of Physician Assistants (AAPA) accepts certificates of participation for educational activities designated for AMA PRA Category 1 Credit™ from organizations accredited by ACCME or a recognized state medical society. Audio- Digest Platinum Membership CME/CE lecture courses, Audio Digest Board Review courses, and Audio- Digest MOC Self-Assessment activities are individually designated for CME/CE credit; refer to individual program materials for specifics on credit designation. AudioDigest Anesthesiology Volume 61  This program has been prior-approved by the American Association of Nurse Anesthetists (AANA) for 48.00 Class A CE credits; Code Number 1037146; Expiration Date 12/31/2021. AudioDigest Anesthesiology Volume 60  This program has been prior-approved by the American Association of Nurse Anesthetists (AANA) for 48.00 Class A CE credits; Code Number 1035579; Expiration Date 12/31/2020. AudioDigest Anesthesiology Volume 59  This program has been prior-approved by the American Association of Nurse Anesthetists (AANA) for 48.00 Class A CE credits; Code Number 1034165; Expiration Date 12/31/2019. NOTE: AudioDigest Anesthesiology programs from 2016 (Volume 58) have expired and are not eligible for CE credit. CRNAs must earn a score of 80% to receive credit, and are not permitted to retest due to features of the Audio Digest testing mechanism. CRNAs may earn 1 credit per issue in Volume 61 from January 1, 2019 to December 31, 2021; in Volume 60 from January 1, 2018 to December 31, 2020; and in Volume 59 from January 1, 2017 to December 31, 2019. Registered Nurses (RNs) and Advanced Practice Nurses (APNs): In support of improving patient care, Audio Digest Foundation is jointly accredited by the Accreditation Council for Continuing Medical Education (ACCME), the Accreditation Council for Pharmacy Education (ACPE), and the American Nurses Credentialing Center (ANCC), to provide continuing education for the healthcare team. Audio- Digest Platinum Membership CME/CE lecture courses, Audio Digest Board Review courses, and Audio- Digest MOC Self-Assessment activities are individually designated for CE contact hours; refer to individual program materials for specifics on credit designation. Provider (Audio-Digest) is approved by the California Board of Registered Nursing, Provider #14141. Select AudioDigest activities (which have been registered with ACPE and have been assigned a UAN) are eligible for ACPE credit; see a listing of activities with their corresponding UANs here. Participant completion data (for pharmacists and pharmacy technicians who have provided Audio Digest with their DOB and NABP eProfile ID) for all AudioDigest activities associated with a UAN will be reported on the pharmacist's or pharmacy technician's behalf to the ACPE within 60 days of the date of participation. AudioDigest transcripts and certificates of participation are for the learner's reference only. They are not valid for credit submission and will not be accepted by ACPE. Pharmacists and pharmacy technicians can access information about completed CPE activities, and print a statement of credit from their NABP e-profile by logging in to https://nabp.pharmacy/. Certified Diabetes Educators may claim up to 2 clock hours of continuing education toward their recertification requirements for each DiabetesInsight activity completed successfully. Note: each activity is individually designated for credit -- some activities may be designated for as little as 0.25 credits and some may be designated for as much as 2.00 credits. The number of clock hours is equivalent to the number of CME/CE credits assigned to an activity. Registered Dietitians or Dietetic Technicians, Registered may claim up to 2 CPEUs (toward the self-study component of maintenance of registration requirements) for each DiabetesInsight activity completed successfully. The Comission on Dietetic Registration (CDR) accepts AMA PRA Category 1 Credit™ from organizations accredited by the ACCME. Note: each activity is individually designated for credit -- some activities may be designated for as little as 0.25 credits and some may be designated for as much as 2.00 credits. The number of CPEUs is equivalent to the number of CME/CE credits assigned to an activity. Audio Digest Foundation is approved by the American Psychological Association (APA) to sponsor continuing education for psychologists. Audio Digest Foundation maintains responsibility for its programs and their content. Each AudioDigest Psychiatry and AudioDigest Psychology activity that provides ≥1.0 AMA PRA Category 1 Credit™ is also offered for an equivalent number of CE credits for psychologists. Activities worth <1.0 credit cannot be use by psychologists for CE credit. Your privacy is important to Learner's Digest. We collect, retain and utilize Personal Data about you to operate our business and services and to collect your abstract submissions for consideration on behalf of specific professional conferences. The term "Personal Data" means personally identifiable information that Learners Digest obtains about you, including, without limitation, your name, telephone number, physical address, credit card information, date of birth and e-mail address. We recognize and respect your privacy concerns about this information. We only obtain Personal Data through our Website that you provide to us. You must be a registered user in order to access certain sections of the Website, including sections that allow you to upload your abstract writings for submission. In order to become a registered user, you must provide us with certain information including without limitation your first and last name, e-mail address and a user-specific password. To enhance your experience at our Website, we may use a feature on your Internet browser called a "cookie." Cookies are small data files that a website can place on a user's computer to allow the website to store and retrieve data about that particular user so that the Website can provide or perform a variety of tasks and functions. Learner's Digest does not link the information it stores in cookies to any of your Personal Data. We strive to maintain the reliability, accuracy, completeness and currency of your Personal Data in our databases and to protect the privacy and security of our databases and the data we collect. Any Personal Data that you provide to us will be stored on our computer network servers. We maintain reasonable physical, electronic and procedural safeguards to protect the confidentiality of your Personal Data. The security measures in place on the Website and computer systems aim to protect the loss, misuse or alteration of the information you provide to us. If you have any questions or concerns regarding the security of your information, please email us at support@CMEonCall.com. In the event Learner's Digest goes through a business transition, such as a merger, acquisition by another company, or sale of all or a portion of its assets, your Personal Data might be among the assets transferred. Continuum® Audio delivers in-depth conversations with expert authors of Continuum: Lifelong Learning in Neurology®, the American Academy of Neurology’s official CME journal. This audio companion to the journal allows subscribers the ability to listen to interviews of interest on any neurologic topic covered in Continuum®. Subscribers listen via an online platform, MP3 files, and iPad and iOS/Android apps and have the opportunity to earn CME credits for each interview. Once 8 AMA PRA Category 1 Credits™ have been earned, they and all subsequent credits may apply toward ABPN MOC Self-Assessment credit. Continuum Audio and Continuum: Lifelong Learning in Neurology are offered together as one subscription. For more information about Continuum®, visit shop/LWW.com/continuum. Continuum and Continuum Audio are programs of the American Academy of Neurology, the world’s largest association of neurologists and neuroscience professionals. Continuum Audio is produced with Audio Digest. Continuum is published by Wolters Kluwer. © Copyright 1996-2017. Audio-Digest Foundation, a Learner's Digest International business. All Rights Reserved.